The breed that nearly vanished! Left to their own devices away from their humans, they can become bored and may occupy themselves by indulging in undesirable or destructive behavior. 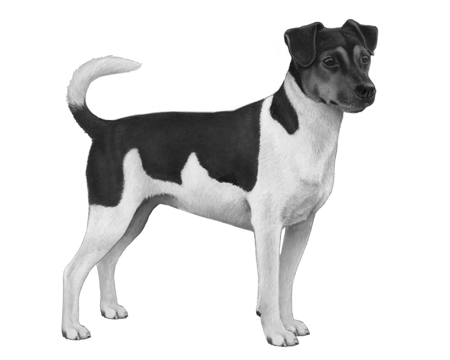 As the name would have us believe, this older breed originates from both Eastern Denmark and Southern Sweden and is now prevalent throughout Scandanavia. 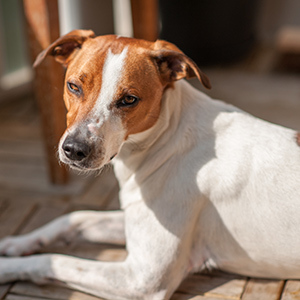 Originally called the Old Danish Fox Terrier, Scanian Terrier or simply, the Rat Dog the Danish Swedish Farmdog has a striking resemblance to the Jack Russell or Fox Terrier—a white body with tan, brown, and/or black markings—and yet, is actually a member of the Pinscher family. 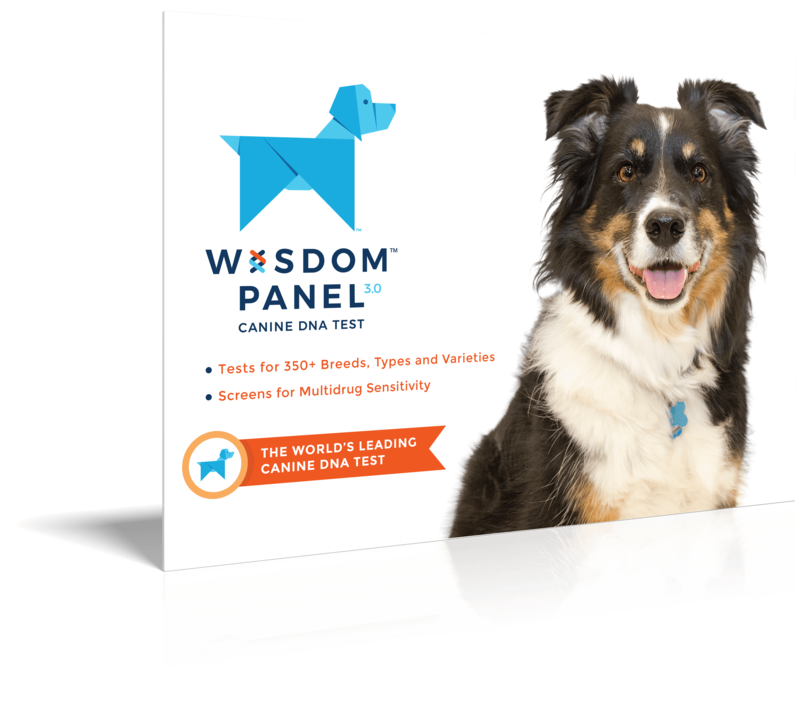 With its strong terrier genetics, it’s no wonder this breed was originally used as a guardian of families and livestock, a hunting dog and vermin catcher. Unfortunately though, all this utility still couldn’t stop the progression of the modern world. As the size of farms increased, so did a greater dependence on the use of machinery thereby decreasing the need for small working breeds such as the Danish Swedish Farmdog—so much so in the case of this breed that it nearly vanished! 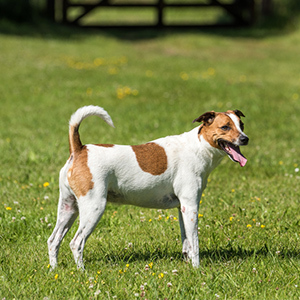 But as feisty as its terrier ancestry, the Danish Swedish Farmdog held on and in 1987 a breed standard was finally developed and recognised by the Danish and Swedish Kennel Clubs. 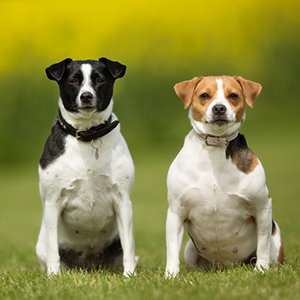 The Kennel Club followed 20 years after that and in 2011, the breed was recognised by the American Stock Foundation Service, the first step in the breed becoming fully recognised by The American Kennel Club.